Are cavities or broken teeth making your life a little harder every day? Are they causing you pain or making you think twice before smiling? If so, then the team at Andover Family Dental has exactly what you need. With our restorative services, we can make even the most compromised tooth look and feel like new again, breathing new life into the smile. We can take care of any issue you might have in just one or two easy appointments, so contact us today to get started! Why Choose Andover Family Dentistry for Restorative Dentistry? Tooth-colored fillings allow us to repair small cavities and slightly damaged teeth without altering their appearance, unlike traditional silver fillings. These are made of a composite resin material that comes in several natural shades, meaning we can perfectly match the restoration to a patient’s smile. This material also bonds directly to enamel, meaning we can place smaller, more conservative fillings that don’t require us to remove as much natural dental structure, making the filling stronger overall. 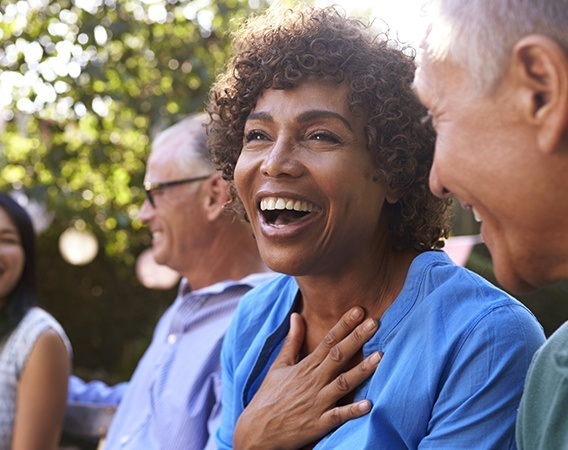 A dental crown is a tooth-shaped restoration that literally sits on top of a tooth (hence the name), and with one, we can repair a large cavity, put a broken tooth back together, and even replace a missing tooth when paired with a dental implant. They are shaped to look, function, and even feel just like natural teeth, making a dental problem seem like it never existed in the first place. 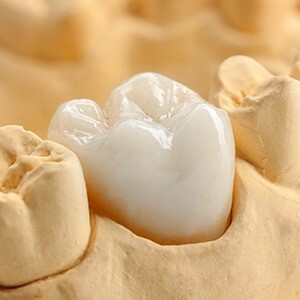 Traditionally, getting a tooth repaired with a dental crown was kind of a hassle for patients. They needed to attend at least two appointments, get a messy impression taken, and spend at least a week with an unreliable temporary crown. 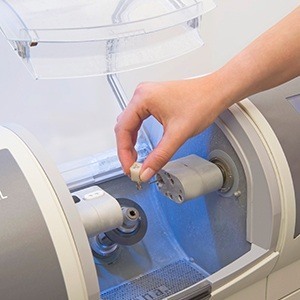 Thankfully, all of these are now problems of the past thanks to CEREC. The hi-tech system utilizes computer-aided design/manufacturing, and it enables our team to create custom-made crowns in just one quick appointment. In about an hour, a patient can come in with a damaged tooth and then walk out with a fully renewed smile. Sometimes, a dental problem can cause so much pain that it needs to be addressed right away, and in these situations, Andover Family Dental is ready and able to help. 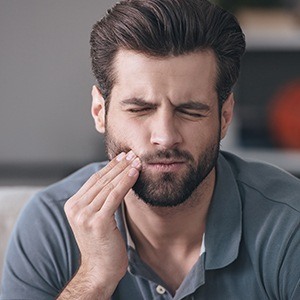 If you or a loved one are dealing with a broken/knocked out tooth or severe toothache, just give us a call, and we’ll work to see you right away. We can even schedule same-day appointments for emergency patients in need of immediate relief.